Enjoy rice in it's best form - biryani at Khayali Pulao! Located in Sector 23, Gurgaon, Khayali Pulao is like a hidden gem that serves excellent biryanis, finger-licking-good North Indian, Mughlai food and also, some Chinese items on it's menu. 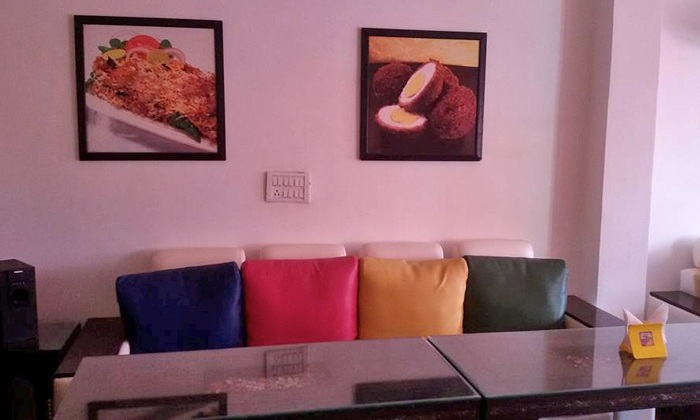 A cosy restaurant with a colourful setup, Khayali Pulao's got two different worlds within it's premises. There's the rural style seating area with low cane chairs and tables and bamboo thatched walls and there's also the very urban dining area with plush leather sofas, colourful cushions and chic wall textures; choose the world you'd like to be a part of! Hey but whatever be your side, both sides get you to some really amazing and satisfying food!